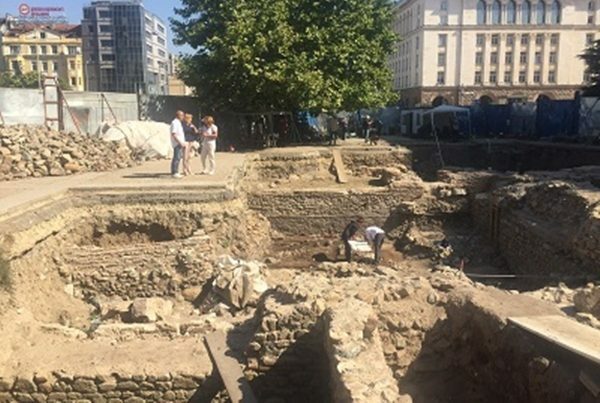 An archaeological team working at the site of Bulgarian capital Sofia’s Sveta Nedelya Square said that they had found a tavern and shops in a large public building dating from antiquity. 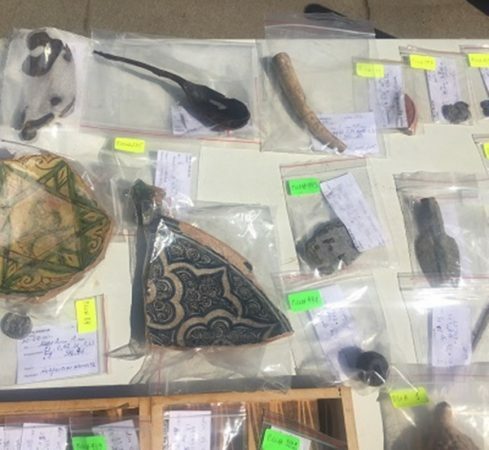 The announcement was made by Dr Veselka Katsarova of Bulgaria’s National Archaeological Museum during an inspection by Sofia mayor Yordanka Fandukova of the dig site. 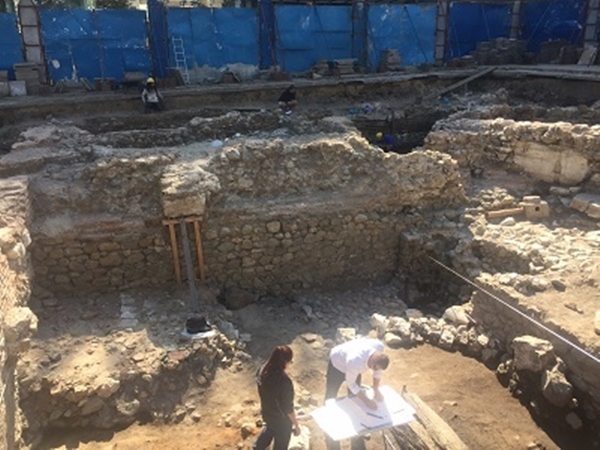 The ancient building beneath the Sveta Nedelya site dates back to the middle of the second century CE, a time when Serdica – as Sofia was then called – was given the status of a Roman city. There are also remnants of water pipes and sewerage channels from antiquity. Katsarova said that the building had a large number of rooms, including an eastern row of rooms that probably provided the shops with entrances from the central street of the city. “We are finding a lot of interesting materials from the Roman era. A large amount of ceramics, coins and finds of all kinds,” she said. The finds included amphorae for wine or olive oil. Among the curious finds is the exquisite bronze figure of a snake, possibly part of the statue of Asclepius. The finds are to be exhibited at the Sofia Regional History Museum. Fandukova said that she had ordered that the large advertisements currently surrounding the site to be replaced by transparent panels so that residents of Sofia and visitors to the city could see the work being done at the archaeological site. “Once the surveys are completed, we will proceed to the construction of the square, and we are looking for an experienced European architect who will do the project so as to preserve and display the rich cultural and historical heritage of Sofia,” Fandukova said. Sofia municipality so far has spent 340 000 leva (about 174 000 euro) on the three-year archaeological project at Sveta Nedelya Square. The excavations began in 2015. In recent years, Sofia has allocated three million leva to unveil the city’s cultural and historical heritage. Sofia’s deputy mayor in charge of culture and education, Todor Chobanov, said that the archaeological site at Sveta Nedelya Square was already attracting tourists from all over the world. “We are making every effort to turn the site into a landmark tourist attraction – this is part of our philosophy of presenting the historic core of the city, which is extremely important both for the identity of Sofia and Sofia citizens and for the Bulgarian tourism economy,” Chobanov said. Sofia municipality chief architect (the equivalent of a town planner) Zdravko Zdravkov said that the aim was to free the square from cars and to connect the pedestrian zone of Vitosha Boulevard with the Largo, and in turn, to Saborna Street and the City Garden. The urban planning design for the square would be put for public discussion in September, he said.